Applicants must be over 18 years old . The company does not operate in some states such Arizona, West Virginia, Pennsylvania, Virginia, Ohio and Georgia. 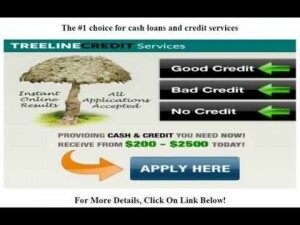 Treeline Credit Services is an online operator where you can apply for loans. 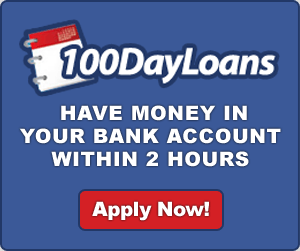 The online application is easy and very fast and gives you access to a very wide database of lenders which are ready to approve your requested loans with easiness and flexibility. The company is not a lender but it is a Matching Service provider. The data you enter in the online application form are securely collected then analyzed to find the most suitable lenders within the database. After that you are put in contact with them to complete the loan application. Due to the wide network of lenders, the approval of the loan is perhaps instantaneous. There are several categories of loans offered by the partners of Treeline credit; you can get Payday loan, Credit line loan, Installment loan and FCCR loans. The platform of the company is powerful because it gives eligibility even to companies and small business to apply for loans by affording particular loan‘s categories. Each category is indeed suitable for a particular type of borrowers and specific needs. They are short term and long term loans, with fixed rate of interests. There is the FCCR and the Merchandise Credit Line which are very specific and are destined to companies and small businesses. Treeline Credit Services support at most all the credit score that the borrowers could have, even no credit is still eligible to apply. Actually, the real constraints for the application are the age of the applicant which must be over 18 years, the employment by at the time the application is made and the ownership of a Deposit check or Debit check. There are also major restrictions but it can change during time: not all the states are covered by the company services, but the coverage may change without any notice. Therefore, citizens are always called to verify their state eligibility to the company services. he urgent need of cash is a situation that may happen to anyone at any time. No matter the income sources are, you may lack of cash. The problem is not about how much money you are paid, but how much you need at that particular moment. For such situations, there are several solutions. This Treeline credit services review will try to help you in making up your mind, You may think of applying for a credit with your bank. But still there are some restrictions/ Time is not on your side since banks have a long approval process that may cost you very expensive in matter of time, effort and you may miss the credit purpose, and perhaps you may have Credit score restrictions. Actually, most banks need you to prove of a good credit score to get approved for a credit. And there are the amount restrictions: You don’t borrow a big sum of money, but just enough to overcome a sudden situation which can be house repair, medical treatment, car repair and such urgent and unpredictable situations. These situations caused by the hazards of life are well handled by some particular loans’ providers. They can offer you some cash for fewer conditions and perhaps no major restrictions. The approval is somehow guaranteed and they can provide you with flexible schedules to repay the loan. They can offer several categories of loans and you may choose the most suitable for your situation. But they still can decide about the category that you may fit and the amount that you are able to repay with the desired conditions. They always operate online through websites where application forms are usually found. But sometimes, the suitable lender is not reachable online or for some reason it is not a regular lender but an individual or some group of investors that would not have an online activity. There comes the Match Finder. A match finder is an online operator which allows you to apply at once for several lenders. It offers its online application form to give you access to a great number of loan providers. It acts as a Search Engine: it has a data base where lenders can register with their coordinates and their conditions. The online forms serve as manual to make the possible matches for. A Match Finder data base is a market place where investors and lenders can be found to serve you the best. Here again there is a question to ask: which Match finder should you apply with? This question is due to the expanding number of match finders and the offers they can make to their customer, a part the lenders database and the full online process; from the application to the approval. One should consider applying with the best operator which offers several loan’s categories and which operates with trustable and very efficient lenders, those proposing the most flexible and the easiest to handle conditions of repay. The importance that should have a Match Finder is related to the variety of loans Its partners are able to provide. Actually, it appears that the operator has several loan categories to offer, but the reality is that the operator is linking to lenders prompt to approve such categories. Among them, Treeline Credit Services have forged their reputation within the market place of Match Finders. 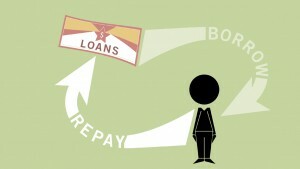 Found online here, they propose some important variety of loans along with some benefits. The present text is an essay about this particular operator and a trial to determine why it is good to apply for loans using this operator services and why you should not consider applying for its services. It is a good opportunity to know about the FCCR loans and the Credit Lines system as the basic scheme of Treeline credit Services and the Credit Line system which is another option to help the customers solve their problems. What is Treeline Credit Services? 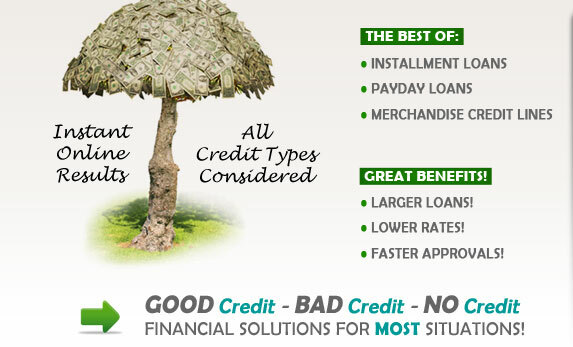 Treeline Credit Services is an online loan operator, commonly known as Match Finder. It has its online platform at URL https://fccrloans.com/hp135/page1.php. The website is simple but very informative. As free Matching Service. It offers the visitor almost all what he needs to know about the company, the services, the loan categories and some information about the lenders network. The URL of the website introduces the FCCR which a financial parameter, which would add a proficient touch to the company. It appears that the company covers almost any credit type: bad credit, and no credit at all. That would help those with bad credit score to benefits from the best solutions. It operates within the United States of America and it is a member of the Online Lenders Alliance, which is just a certification for good work and best reputation. Treeline Credit services review shows that this match finder uses online loan process to ease the applications, the matches and the approval. Treeline Credit Services is not a Lender, but it connects applicants for loans to a very wide database of lenders and loan providers which are ready to adapt their policy to satisfy the customer expectations. They introduce the FCCR loans. FCCR or Fixed Charge Coverage Ratio indicates the ability of the holder to pay a fixed wage before the deduction of taxes or leases. Actually it is a new version of the Time Interest Earned Ratio which calculates the portion of income that can be used to repay wages. It is used as “Solvency” indicator for borrower to ensure the repay of loans. They also propose the Credit Lines for bad credit, a particular way of obtaining Merchandise Credit line. Credit lines are a very particular option of loan. It is an agreement between the borrower and the lender to set a maximum amount for the loan, and then the borrower is able to cancel the deal before he spends the agreed amount. Then he can repay back the amount he didn’t use with no charges or interests. FCCR loans and Credit Lines loans are very important in cases of emergency payday loan, whether it is installment loan or a payday loan, to make the customers more comfortable dealing with their debts and avoiding extra debts while resorting to the Fast cash lenders. The examination of company website shows a simple application form with a progression indicator of the completion of the application. Primarily this form is used to conduct a free of charge orientation. When you use this application, you type in your state of origin, the zip code and the amount of the loan you request. This operation does not include names or email address; it is somehow a pre subscription. Treeline Credit Services proposes several categories of loans and credit. It has particular partners as lenders and they are registered within the data base of loan providers which are matched with the customers’ needs when they apply for loans. The customers do not have to worry about their credit score: they do not need a positive credit to guarantee their eligibility for a loan when they apply through the Treeline credit services platform. When you apply with Treeline Credit, you can get loans from $200 to $2,500. Reliable database of lenders prompt to approve almost all categories of loans and credits with no major constraints concerning the credit score. Full Online process which helps saving time money and saving efforts for customers. 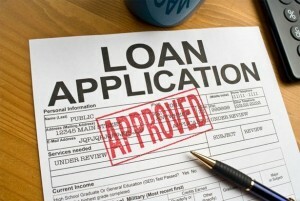 Several categories of loans and options to make it easy for them. The proposed schemes are flexible and almost fit whatever situation you can face. No credit check is required to be eligible for loans and credits when you apply with this Matching service. In fact, the several categories are designed to suit all the credit scores. This benefit is applicable for Installment loans bad credit. There is a category of credit lines for bad credit as well. Fast and very secure processes while applying or receiving cash. The website is based on the ultimate secure applications to protect your data while being collected or stored within the database. The answer is fast and can be by email or by phone. 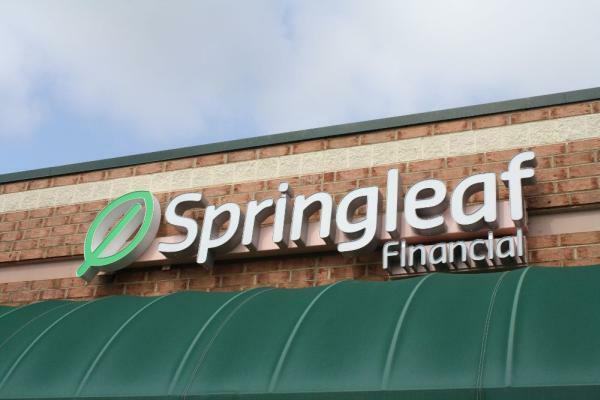 Treeline Credit reviews reveal that the company has its reputation from several factors: FCCR loans, Merchandise Credit Lines, along with Installment loans bad credit and Payday Loans. FCCR Loans: not to confuse with FCCR loans provider (first choice capital resources), the FCCR, Fixed Charge Coverage Ratio is a financial parameter that designate the ability to par charges and expenses. Wages are deducted from the initial income, it means before the deduction of taxes and any interest. This parameter is useful to determine solvency of a given company. FCCR loans are therefore destined to help companies to overcome urgent needs of cash. The borrower company can be treated as an individual borrower but instead of credit check, the company would obtain the loan up on its FCCR, and it is not a very big deal when applying with Treeline Credit services, the company still can get its loan. The FCCR Loans can be assimilated to Business credit line loan for start up. The repayment is scheduled on several wages and they have fixed amount with fixed interest rate. As a company, you need to apply for the loan with separate designation from you self, to put your goods in safe place and apply for proper business loan. This particular category of loans is about an amount approved for several financial activities, commonly repetitive action of buying products. This category can be made to fit those with bad credit but who are regularly active. Therefore it will be designated by credit lines for bad credit. This particular type of loans is very useful when you need to buy repetitively some merchandise and you don’t know really how many time you may need the cash; all you have to do is to estimate an amount which would be granted for you to use. Afterwards, you can use any amount you want from this deposit, and as many times as you need, as long you do need exceed the agreed amount. The credit lines for bad credit gives you access to interesting deals: You pay interest only for the used amount: that means if you have a deposit of $1000 and you use only $500, you pay interest for the $500 you have used. Moreover, you can give back the unused amount with no extra charges or interest. Credit lines for bad credit is used when you think you are going to need more than once a certain amount of money, but you don’t know exactly how many times; and you don’t need to be charged interests on the amount that may remain after you accomplish your affairs. The interest rate for a merchandise credit line is variable: there is only a top rate that the lender should not exceed. Known by some other designation, as cash advance loan, small dollar, payday advance…They are short term loans and they made to supply cash for very urgent needs. They are unsecured and therefore are very expensive to repay because they are added the interest rate which is calculated upon the APR and can be over 1000%. They are repaid at once, that means they are repaid in one single wage. They are called Payday loan referring to the Payday of the borrower, the reason is that they are usually settled to be repaid at the day after the payday. Somehow they are scheduled to be repaid after 29 days at most. Due to the freedom once given to lenders to set their interest rates, which are likely to be abusive, the government has created the Uniform Small Loan Law (USLL) to set a limit to these rates. The service includes emergency payday loans as they are part of the payday loans category. They are small cash but very efficient. Installment Loans bad credit is particular because they are a combination of Payday loan and long term loans. 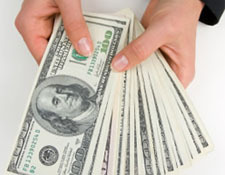 In fact, Installment loans are obtained for urgent needs of cash. The difference between them payday loans is that the payday loans are repaid at once after a small period of time, generally not more than 29 days or commonly scheduled to the next payday of the borrower. Actually, installment loans can be repaid according a schedule that can go to some years (36 months) and the wages are repaid each month at a determined rate, calculated upon the APR. Payday loans and emergency payday loan are very expensive because they are not secured; installment loans bad credit instead are more flexible and easier to handle. Installment loans offer a comfortable period of time for the borrower who cannot repay the loan at once and who may face solvency problems to keep on repaying without facing penalties. Installment loan are very handy for people who are already paying wages for a previous loan, and they are not able to pay at once a certain sum received as payday loan. Installment loans bad credit can be very helpful for people who do not have enough resources to repay a payday loan at once, and who do not have good credit score. All the process is done online. You need to fill in the form with the requested data, the state of residence, the zip code and the amount you need to borrow. click next and then you access the second step of the form, you are called to fill in the form with your bank account type, select whether you are employed or unemployed, the way you receive the payment, and how you would receive your cash, whether you or your spouse is military employed and how you would rate your credit score. Clicking the button next and you well access the following part of the online form where you need to enter your names, a valid email address, home and mobile phones and the best time to get in touch with you. In the next steps you can chose the loan category and the options you suit the most. The matching service may propose you the best fitting options upon the data you entered but it still your choice to make. With all these data, the matching service will investigate the database for the best lenders to match with your request. The service is free till this point. Treeline credit services don’t charge any additional fees. Each lender can impose additional fees or any other charges to approve your loan or complete the contract. the loan type and category is to agree with the lender. Lenders are therefore called to be transparent regarding their policy and their interest rates. To apply for a loan, you must prove you are over 21 years old that means above the legal age (18+). Applicants are also called to give proof of their current employment and that they are working at the time they apply for the loan. You or your spouse must not be military employed, because there is another system to handle that particular situation. To consolidate the debts and paying bills, like repaying mortgage and rents. The most important thing with this company is that you don’t need really to explain the reason of the loan request: you need money and you need it fast are enough. There are no serious restrictions to apply; almost all purposes are eligible with this matching service. Due to its very important database of lenders, Treeline credit is able to work in any category of loans and credit. Still, some States are not covered by the services of Treeline credit; this may be only major restriction to have. They verify your state of origin at the first step of your application; and then whether you are rejected or accepted. The process done online, that saves you time and effort to invest for looking and waiting for the approval. When applying, there is a very particular field within the form where you are asked to enter the minimum acceptable amount. 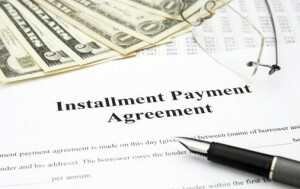 This is very important for the matching service: it tells the lenders that you are not ready to negotiate under that amount and they have to decline your offer without proceeding to long discussions about the initially requested amount and give them the opportunity to charge you high even abusive interest rate. The Treeline Credit Services system proposed by Treeline Credit Services is very handy. With the couple of features it proposes. The system works all online and you don’t have to fax any document. You apply online by filling the application form that you find on the website (click here to apply) the quick answer is whether by email or by phone. Then you will be contacted by the lenders selected by the matching services to make their offers and let you chose which one is suitable for you. Usually the lenders do not proceed to a credit check to decide for your eligibility. No Credit check is required by Treeline or the lenders, otherwise you won’t resort to this loan services. The Treeline Credit services owns a very rich network of lenders prompt to approve all sort of loans and are accepting all the situations. Therefore there is a slight chance that your will be declined. The system is totally free, but each lender is responsible for its own treaty with the borrower, that means that the lender that you pick can charge you some fees. Treeline Credit services works with lenders supporting Payday loans, Credit lines Loans, FCCR Loans and Installment loans. they do not requires a credit check for approval. The borrower does not need to have a permanent job, but he must prove of his ability to repay the wages of the credit. The company is totally transparent regarding its policy. it has nothing to hide. They display their physical and email address and their phone number for contact. They keep reminding that they are neither lender nor debt collector. With only one account, you can access all the features and the benefits offered by Treeline Credit Services. Companies still can apply for loans through the Treeline Credit platform. The company is a member of the Online Lender Alliance, trusted organization that gather the most efficient and proficient matching services providers and lenders which operate exclusively online. Along with the non necessity of the credit check, borrowers do not need to tell exactly why they need the money for. This factor gives the service certain universality and it appears as adapted to all the needs. Applicants must be over 21 years old. This ensures that the site is not used by players or children but by responsible persons to keep high the reputation of the website and the company. Treeline proposes unsecured loans for peoples who do not need to involve collaterals or which do not have enough goods to be treated as securities. When you select the amount of your requested loan, the company offers you the possibility to set the minimum amount that you can accept if you are not granted the amount you entered. This can be useful when the lenders do not approve the amount you initially requested to avoid tough negotiation and avoid high interest rate. Though the number of good points in applying with Treeline Credit Services. The company does not operate in some areas in some states such Arizona, West Virginia, Pennsylvania, Virginia, Ohio and Georgia. The list can change at any time without prior notice. Moreover, in the current eligible states, some extra requirements may be imposed by the State authorities for completing the process. Therefore, Treeline credit services claim itself free of any further conditions outside its platform. 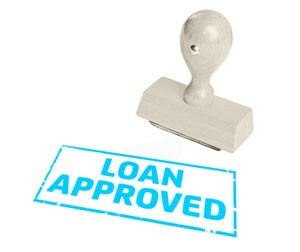 A Treeline Credit service does not guarantee the approval of the loan by the lenders. It only acts as matching finder, and do not interfere in the approval process, besides the disclosure of the data you entered to the potential lenders and the protection of your data. Borrower must possess a deposit check or debit check, means he must hold a bank account. If he doesn’t there is no way he get access directly to the cash. 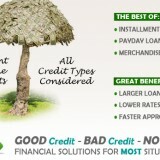 Treeline Credit Services reviews confirm that it is an online operator where you can apply for loans. The online application is easy and very fast and gives you access to a very wide database of lenders which are ready to approve your requested loans with easiness and flexibility. The company is not a lender but it is a Matching Service provider. The data you enter in the online application form are securely collected then analyzed to find the most suitable lenders within the database. After that you are put in contact with them to complete the loan application. Due to the wide network of lenders, the approval of the loan is perhaps instantaneous. There are several categories of loans offered by the partners of Treeline credit; you can get Payday loan, Credit line loan, Installment loan and FCCR loans. The platform of the company is powerful because it gives eligibility even to companies and small business to apply for loans by affording particular loan‘s categories. Each category is indeed suitable for a particular type of borrowers and specific needs. They are short term and long term loans, with fixed rate of interests. There is the FCCR and the Merchandise Credit Line which are very specific and are destined to companies and small businesses. Treeline Credit Services support at most all the credit score that the borrowers could have, even no credit is still eligible to apply. Actually, the real constraints for the application are the age of the applicant which must be over 18 years, the employment by at the time the application is made and the ownership of a Deposit check or Debit check. There are also some other restrictions but it can change during time: not all the states are covered by the company services, but the coverage may change without any notice. Therefore, citizens are always called to verify their state eligibility to the company services.